VIENNA, AUSTRIA - Hailing from Vienne, Austria, death metal-rockers Halo Creation was founded and 2014 and ready to rock the metal world! It began in a small rehearsal room in the middle of Vienna and since those early rehearsals, worked together to release a demo CD that summer. Then in September, Halo Creation played their first live show. 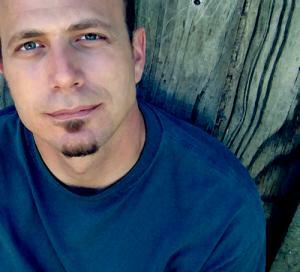 ALSTEAD, NEW HAMPSHIRE - R & B, soul, funk, rock, blues and a dash of New Orleans. 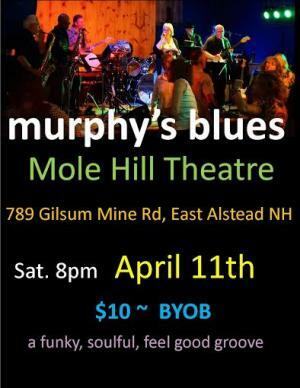 Murphy's Blues is known for high-energy performances, non-stop dance grooves and seriously fun-minded music. 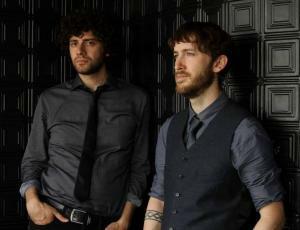 Riotous sax, soulful guitar and bass, rapid-fire keys and one mean blues harp support the strong vocals. 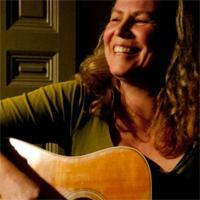 Murphy's Blues formed at the legendary Rynborn Blues Club and is a perfect fit for Mole Hill. The band features Jim Murphy on guitar, Cynthia Rodier on vocals, Bill Symonds on keyboards, Jen Spaziani on drums, Fred Tipton on saxophone, Dave Brown on bass and Ben Perez on percussion. BELLOWS FALLS, VERMONT - The Landmark Bellows Falls Opera House not only has by far, the lowest priced movie ticket around - $5 for adults and children - (yes, that is not a type-o) but it also houses the largest indoor movie screen in Southern Vermont and Southwestern New Hampshire... 578 square feet of movie viewing bliss! The theatre seats 372 on the main floor and another 181 in the balcony. 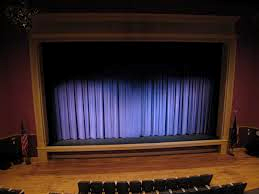 CLAREMONT, NEW HAMPSHIRE - The Claremont Opera House will become “The Grand Opry” on Saturday, April 18 when Americana’s Most Wanted takes to the stage. They’ll be playing traditional country music from Hank Williams, Woody Guthrie, Hank Snow, Elvis Presley, Willie Nelson, Roger Miller, The Kingston Trio and more. The band features 3-time NH Country Music Performer of the Year - Rob Oxford (acoustic guitar/vocals), along with Dave Clark (upright bass), Mike Kelley (Mandolin) and Steve Hennig (banjo). BELLOWS FALLS, VERMONT – The final lineup has been set for the 16th annual Roots on the River Festival in Bellows Falls, Vermont. Held on Thursday, June 4 through Sunday, June 7, this year’s four-day festival will feature seven shows at six different venues. Outstanding music, great food, free parking and deluxe ticket packages are available! 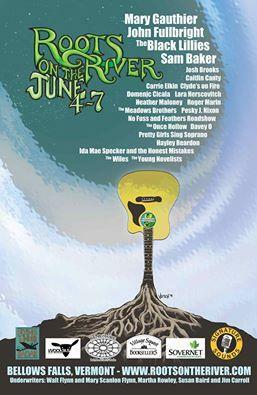 Visit www.rootsontheriver.com for more information. 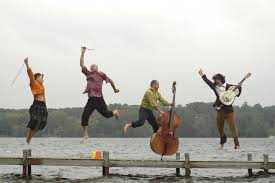 PUTNEY, VT -- NEXT STAGE ARTS PROJECT AND TWILIGHT MUSIC PRESENT AMERICANA/ROOTS QUARTET RANI ARBO & DAISY MAYHEM AT NEXT STAGE ON FRIDAY, APRIL 10 AT 7:30 PM. THIS ALBUM RELEASE CONCERT CELEBRATES THE BRAND NEW CD “VIOLETS ARE BLUE,” A COLLECTION OF SUGAR-FREE LOVE SONGS INFUSED WITH THE BAND’S SIGNATURE LUSH VOCALS, SUPPLE GROOVES, AND MOST OF ALL, JOYOUS AND GENEROUS SPIRIT. PUTNEY, VERMONT – Next Stage Arts Project and Twilight Music present an evening of acoustic folk/pop music by Brooklyn, New York-based guitar duo Threefifty, plus Vermont-based singer/songwriters Paul Siegel and Lizzy Mandell at Next Stage on Saturday, April 25 at 7:30 pm. Classic Rockers Steel Rail Comes to the Mole Hill Theatre! 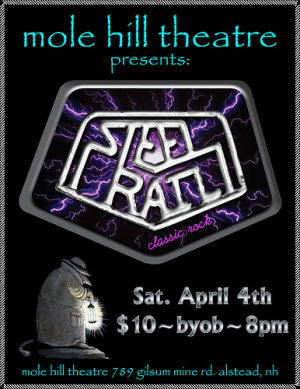 ALSTEAD, NEW HAMPSHIRE - The classic rock of Southern New Hampshire's Steel Rail is coming to the Mole Hill Theatre on Saturday, April 4. 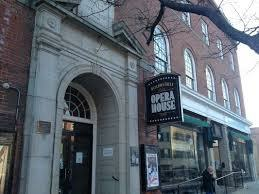 Show starts at 8 P. M. and it is a B.Y.O.B. event. Steel Rail is: Glen Creamer on guitar and vocals, Chad Gallagher on bass, Mike Lehane on guitar and lead vocals and Andy Marazoff on drums and vocals. 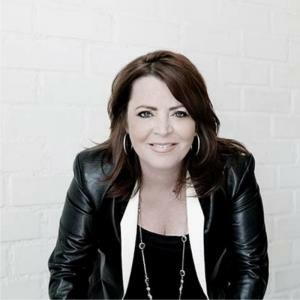 LEBANON, NEW HAMPSHIRE - Acclaimed stand-up comedian Kathleen Madigan will perform at Lebanon Opera House on Sunday, April 19, 2015. Madigan is described as the funniest woman doing stand-up right now, but no gender qualifier is necessary. Along with Lewis Black, Brian Regan and Jim Gaffigan, she’s one of the funniest stand-up comedians of her generation.